What is this book about? This book is about L.I.F.E. That is, Living In Full Empowerment! That is, LIFE in the power of Holy Spirit. Who is He? What does He do? How does He operate in our world today? What difference can that make in my life? If you have ever asked yourself any of these questions, you are probably on a quest for MORE! And you are possibly saying to yourself ans have many others, "There has got to be more to life than this." If that is the case then this book will be good news to you! You will learn (or be reminded) in practical ways, how Holy Spirit empowers the believers by His ministry, His fruits and His gifts to live L.I.F.E. to the fullest! Ken Stone has been pastor of First Baptist Church Clayton, Texas since 1984. During this time he has learned to experience L.I.F.E. and shares that experience with others through seminars, conferences and training events across the country and internationally. Blissfully married for 38 years to Susan, they have five children and six grandchildren. 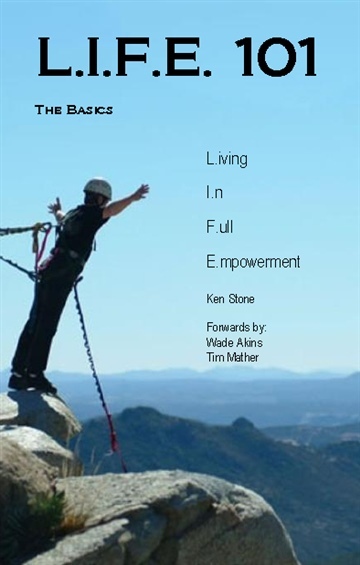 Ken is also Founder and President of Ebenezer Ministries International, Inc., "A Stone of Help in a World of Need" receiving, processing and shipping humanitarian aid to various global locations.